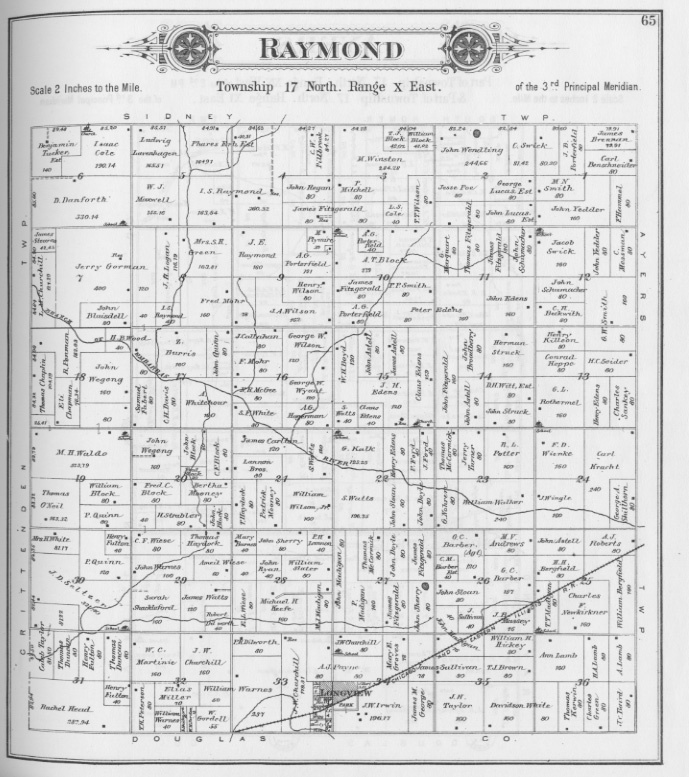 Map of Champaign County, 1876 from David Rumsey Historical Map Collection. Maps can tell us a lot about our ancestors and the lives they lived, such as where they owned land, how they traveled, and the homes in which they lived. Do not overlook maps as a resource during your research. To get you started, we have included resources for plat and Sanborn fire insurance maps readily available on the web. However, do not forget about the resources in libraries and archives. Also remember one tip when viewing maps… be sure to read the legend to understand the symbols and signs. Plat Maps - A plat is “a small piece of ground (as a lot or quadrat) : plot”, as defined by Merriam-Webster dictionary. 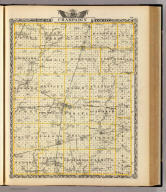 A plat map displays the land ownership for plots of land and acreage. For a genealogist, the landownership can place an ancestor in a time and location. Plat maps can also show the community our ancestor lived in. Cultural features such as churches, schools, cemeteries, railroads, and homes are identified. 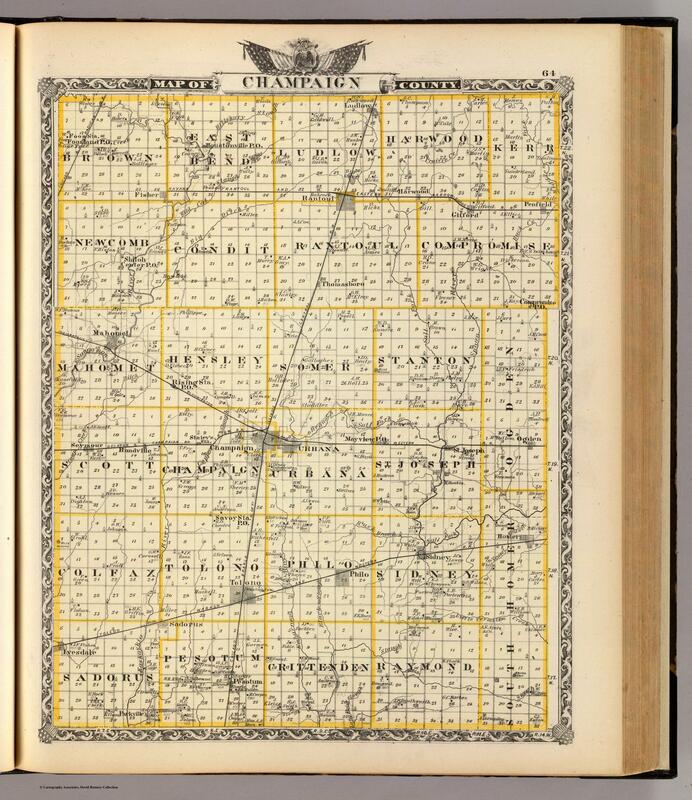 Researchers who visit the Champaign County Historical Archives can use the plat maps in their collection, however for the individuals who are not local, the following years are available on-line. Tip: Use the “Page by Page Navigator” for better images instead of the pdf. Sanborn Fire Insurance Maps - Fire insurance maps were created to assist underwriters when calculating fire insurance rates. Maps were created for cities and towns and show the details of buildings and homes. Maps are in existence for Champaign and Urbana, Illinois. 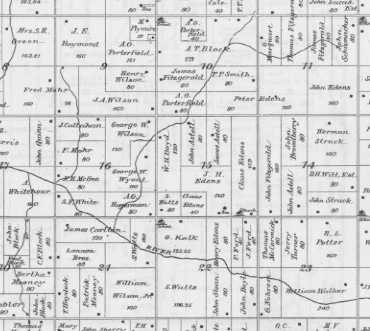 Sanborn maps for both cities are on-line for 1892, 1897, 1902, 1909, and 1915; however maps are available at the University of Illinois University Library and other repositories until 1969 for Urbana and 1972 for Champaign. The house numbers and street names on the Sanborn maps can be used to determine the type of residence their ancestor owned or rented. 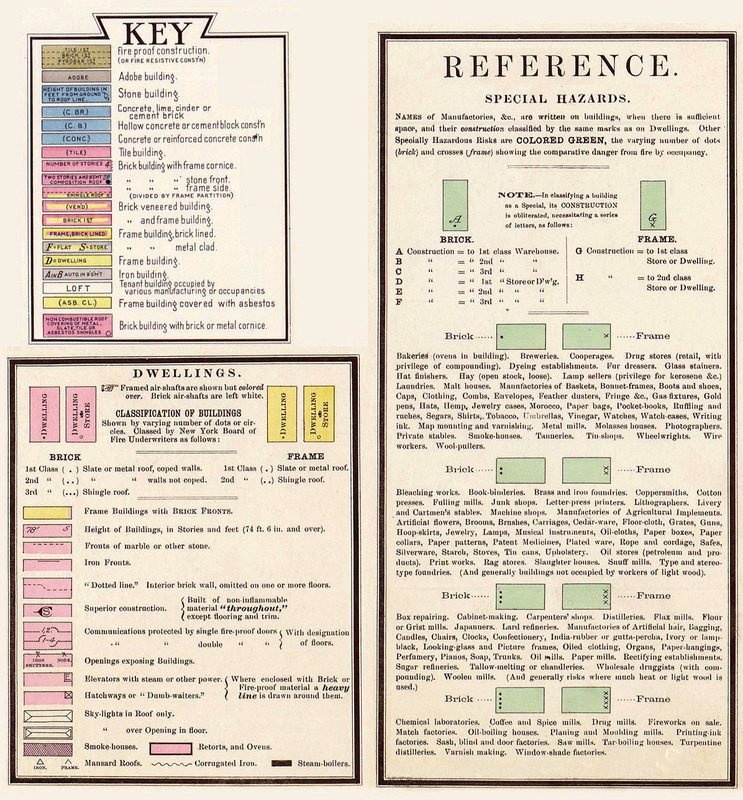 The maps show the building outlines and footprints, plus the coloring, markings, and notations are indicators to the construction and building materials. The University of Illinois has on-line maps of Champaign and Urbana for 1892, 1897, 1902, 1909, and 1915. They can be accessed by clicking here. Then search for “Champaign” or “Urbana”.